Construction on The Landmark is now well underway and in line for the revised completion date of Q3 2019. The pilling is now completed on site with the basement retaining walls now making good progress. 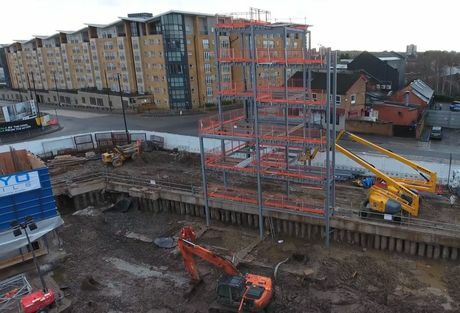 Work on the slip form core and steel frame work has also started and is progressing well. The Landmark currently has a total of 15 units, four one beds starting from £151,000, seven two beds starting from £236,000 and four three beds starting from £266,000. Situated in the heart of Manchester, adjacent to the Spinningfields, means The Landmark is within a 5-minute walk of the city’s central business district, bars, restaurants and high-end shopping areas. If you are interested in making an investment on The Landmark, email enquiries@hopwoodhouse.com or call +44 (0) 161 337 3890 for the most up-to-date availability and your free online information pack.